Ahhh… can’t you just feel the breeze? This is what I want to do to my outdoor space. Sure, I may be lacking the background scenery but a girl can improvise! 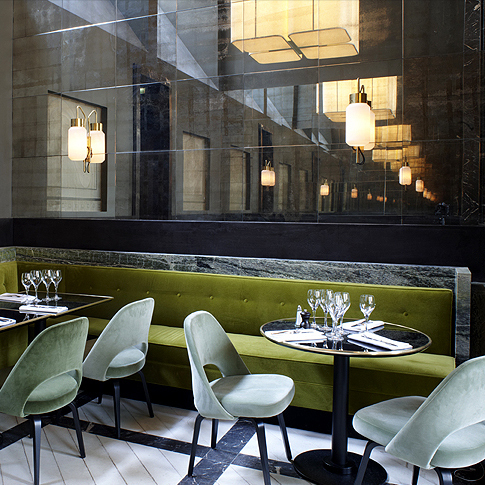 I love modern design but I need some rustic and ethnic touches to keep things interesting. 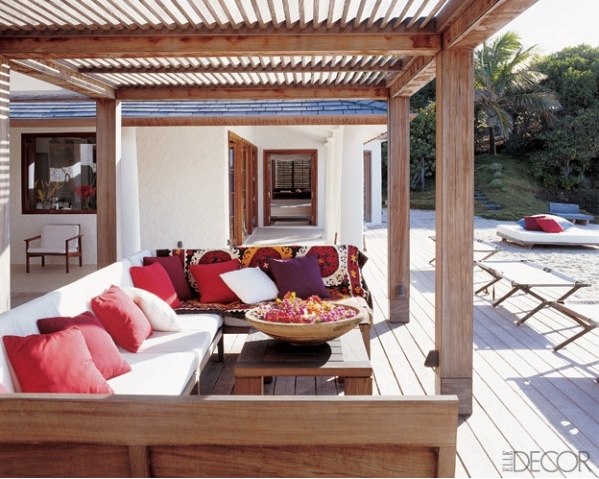 A unique daybed like the one above is the perfect statement piece for an outdoor space. Stack numerous layers of pillows to make it a comfy lounging area. 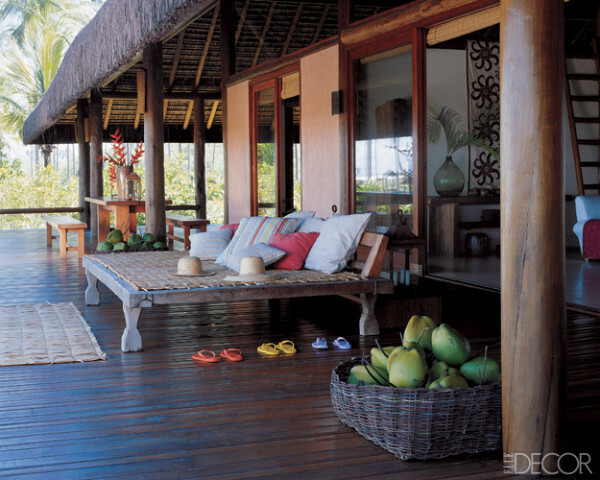 Depending on the style of your home, you can use vintage European daybeds (I once found this beautiful distressed green French vintage one – see my Pinterest page) or the more Asian-influenced ones like the Balinese teak creations with carved legs. 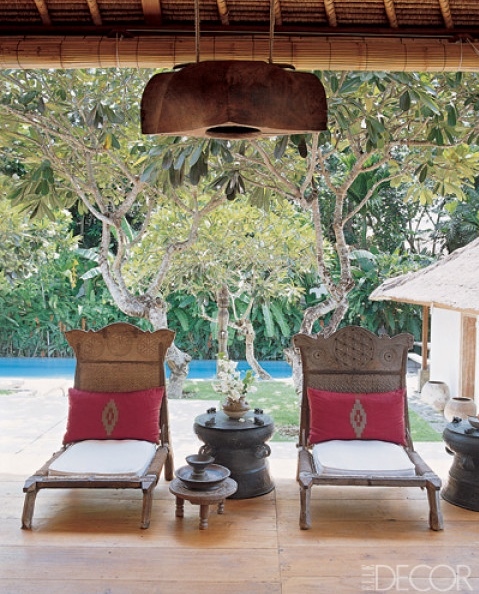 Here are some spectacular ethnic pieces to inspire your outdoor decor. 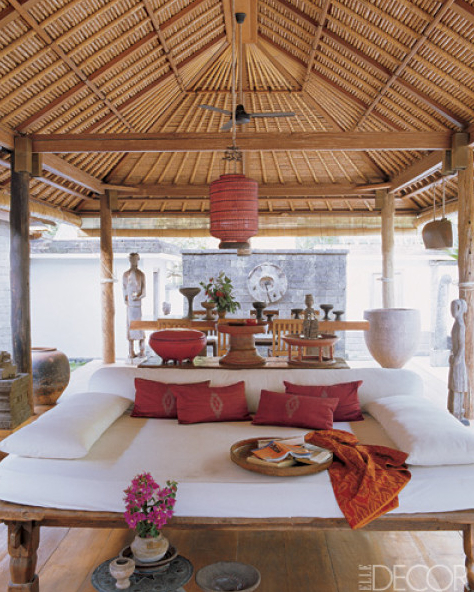 This is the ultimate daybed… (sigh)… I’m also loving the terra cotta vases you see in the back and the pops of color provided by the textiles, lantern and flowers. A beautiful flowering tree for your tropical garden is the Frangipani. I first discovered this gorgeous plant in Hawaii where they grow abundantly and perfume the air with their sweet fragrance. I still haven’t recovered from their beauty! The day I get the chance to grow my own garden, I will make sure there are plenty of these around. 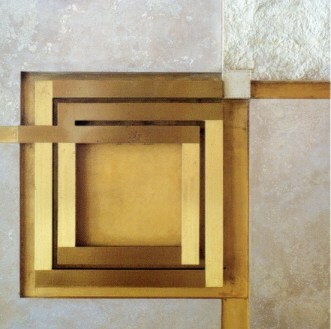 The ceiling is usually the last surface you think about in a room. They’re often left bare either to keep a clean visual or simply out of pure neglect. 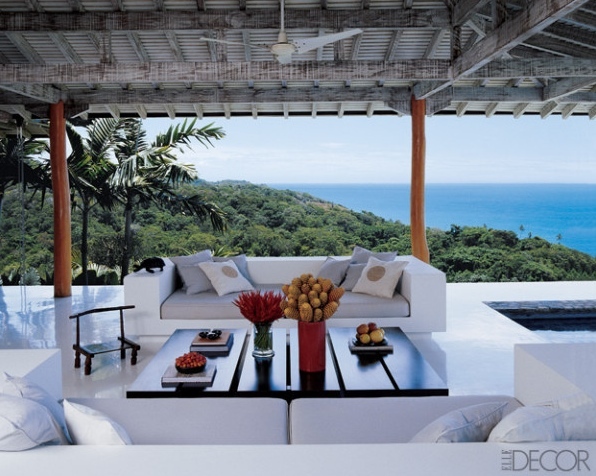 In these outdoor spaces the roofs & ceilings are often the most characteristic elements of each space. 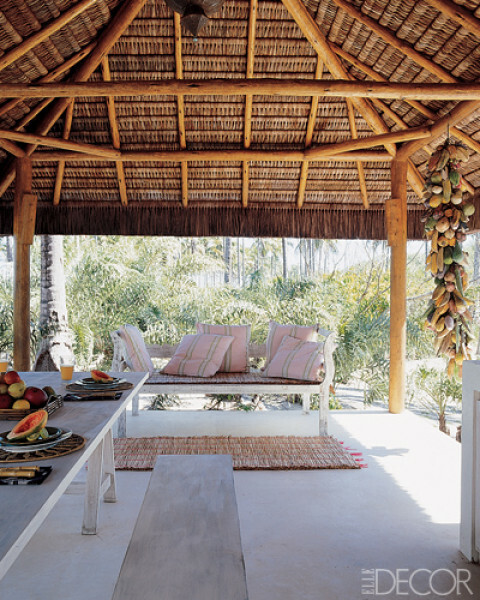 Whether they be thatched roofs in Brasil (as above), pergolas in Mustique, or stucco in Ibiza (as below), they all have that vernacular charm I love so much. They are each unequivocally from a particular place in this world. And that is what I love about them. 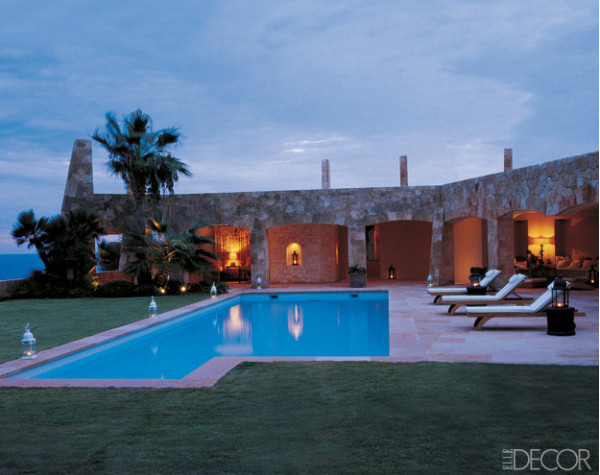 I always mentions the lanterns for outdoor spaces because lighting is so important in creating a mood. Whether it’s to have some 1 on 1 time with your loved one, chill out with some friends or even for a solo night with a glass of wine, good lighting is fundamental. I love Moroccan lanterns but you can get many variations that suit your style from modern hurricanes (Crate & Barrel) to classic polished nickel lanterns (Pottery Barn). I love the contrast of the wooden door and window frames on this white house. 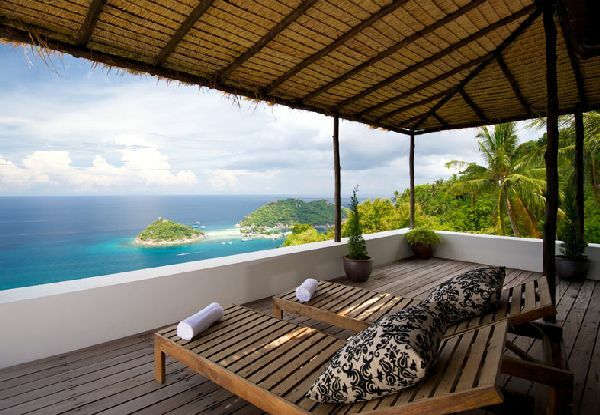 And furthermore, the wooden pergola and deck really make it feel like the ocean is close-by. And personally, I always need to feel that it is! Again, the accessories bring a nice pop of color and that oversized wooden bowl filled with flowers really makes it feel tropical and warm. Need I say more? I love this shot. I wish I were writing this post sitting on that sofa while drinking a glass of that fresh squeezed orange juice spiked with some champagne! Don’t you? Well, I hope this gives you a little Summer inspiration for decorating your outdoor room!